Above: shooting one of the prototype Browning Maxus models. Photograph by Patrick Flanigan. This is an unlikely comparison on several levels. The formerly code-named "Peggy" Browning Maxus was announced first, rolled out as “The Most Reliable Autoloader the World Has Even Known” on October 10, 2008, as of the original edition of this article (June, 2010) general availability had been limited to essentially one model: synthetic. The Maxus line has grown, if only in 12 gauge. This attempted comparison is only an attempt. As these six models have evoked the vast majority of autoloading shotgun reader mail, that's why it is being attempted. The “improbable part” is due to the disparity in the models themselves. Readers have suggested they want one of the these more as an “all-around” shotgun, "all-around" meaning all kinds of different things to different people. You might not think any of these shotguns would be necessary, or even highly desirable to take a dove or break a clay, but it hasn't really worked out that way. Though in some ways this is apples to oranges, a lot of folks want one new juicy piece of scattergun to bite into and these six are among those considered. So, I'll do my best starting with the easily measured attributes, and moving on to the more esoteric areas. Fabarm L4S Hunter: 4-1/2 lbs. Retay Masai Mara Satin: 6 lbs. Remington V3: 4 lb. 6 oz. Out of the box, the Beretta A400, Fabarm L4S, and the Remington V3 have the best triggers. Fabarm L4S Hunter: Five years. Retay Masai Mara: Five years. Only Browning and Beretta have weak warranties. Fabarm and Remington have the best quality factory choke tubes. Maxus: Gas, "Active Valve" variation. All Fabarm chokes are rated for steel shot, the supplied chokes with the Remington V3 including the “Full” are all rated for steel. In the case of all other models, choke designations tighter than “Modified” are lead only. The Remington V3 is the softest shooting, followed by the Maxus. With 1-7/8 oz. 3 inch loads, the gap widens in favor of the V3. Notes: The Maxus safety is, for me, too close to the right hand. It is too easy to bump off the safety with the side of my right forefinger while carrying. The Vinci safety is too far in front of the trigger. Note: The Maxus does not come to the shoulder as well for me as the others, due primarily to the poorly designed “Inflex” pad. Rather than having a flat face, the factory Browning pad is similar to their X-bolt rifle pad. While fine on a rifle, but it is dished out more like a "trap pad" than a field pad. Good pad, but a poor profile for a field gun. If I was hunting with a premounted gun, it wouldn't matter. I'm not, though, so it does. Maxus: Browning oversized bore “Invector Plus,” lengthened forcing cones. Maxus (Browning): Average to Excellent. Masai Mara (Retay): By Briley. I have no direct experience with Briley for warranty work. In 2010, the lowest-price configuration available for any of these three shotguns would be the three-inch chambered version of the Maxus Stalker at $1199 MSRP. The Vinci and the 3-1/2 inch Maxus models are almost identically priced. The most expensive of the original three from 2010 was the A400 with KO at $1725 MSRP. Today, a Maxus Wicked Wing is $1869.99 and the Maxus Ultimate is $1939.99 MSRP. Street price on a 3 inch Beretta A400 Action Bronze Walnut 12 Ga 28 Inch is $1400. Top to bottom: a black synthetic Remington V3 that I had camo-dipped by Black Ice Coatings, the Fabarm L4S Initial Hunter, and the first of the three Retay Arms Masai Mara models I've tested. Right now, the hands-down lowest price of the group would be the Remington V3 in black synthetic that you can pick up for $649 street price. Price is what you pay, value is what you get. The best values are the Remington V3, the Fabarm L4S Hunter, and the Retay Arms Masai Mara. HOW DO YOU RATE THESE THINGS? A good way to approach unbiased evaluation is the “Shoe Test,” as in “What if the shoe was on the other foot?” If a Beretta came in a Browning box, or vice-versa, or if a Masai Mara came in a Benelli box, would that change things for you? If so, there are preconceived notions present to set aside. You've heard, “Well . . . you get what you pay for!” Right. If you buy overpriced junk, that is exactly what you get. When Samsung's Galaxy Note 7 caught fire as many as 112 times after only one month on sale, it wasn't because it was an el-cheapo cell-phone or an off-brand. Takata manufactured defective, shrapnel-hurling airbag inflators that need to be recalled. While “nothing rides like a Cad,” Cadillac Escalades from 2007-2011 could shoot shrapnel at you just like far more economical models. Mercedes-Benz recalled 841,000 vehicles for Takata airbags, not exactly the best display of the power of German engineering. The lowest-priced shotgun of this group is the Remington V3, with the lowest recoil, and with a top-level trigger, the roller trigger from the 105CTi. In its current form, it is the heaviest of this test group as well, if not by much, at 7-1/8 lbs. However, the 26 inch walnut V3 is 7-1/4 lbs. as tested. 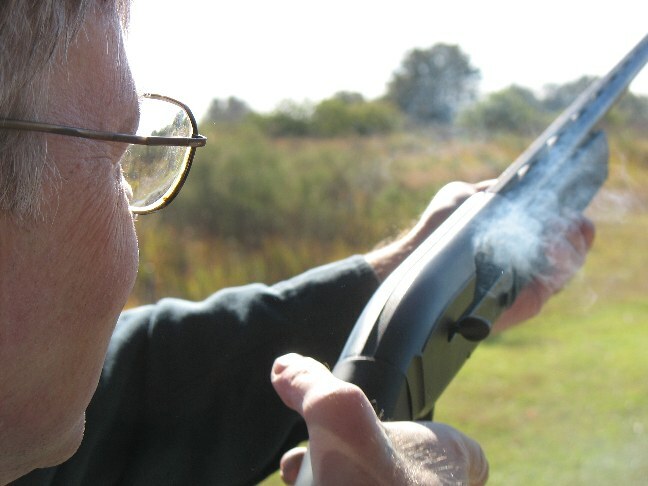 For clays or stationary shooting, you may appreciate it, but if you are doing a lot of walking for flushing birds, you will appreciate it less. The bluing on the black synthetic and walnut models is just average matte, and does not have the polish of the Fabarm L4S for example. The V3 does not come with adjustment shims at present, unlike every other autoloader in this comparison. The lightest gun of the group at 6-3/4 lbs. is the Fabarm L4S. The Fabarm is the most pleasant to carry and the fastest to the shoulder as well, has a very good field trigger, and is backed by superlative customer service. At $1295 MSRP, it is priced well below competitive Maxus, A400 Xplor Action, and Vinci models. It is a better made gun, though, with cleaner machining, oil-finished walnut, and generously chrome-plated internals. That all combines to make it an excellent value, a good looker, and my personal favorite 12 gauge pheasant / upland shotgun. The click-free Retay Arms Masai Mara in its oiled walnut / polished blue configuration has a notably better action than the standard Benelli and other inertia guns, with a better grade of walnut and bluing as well, along with less plastic: the trigger guard is machined alloy. It also does better with light loads than most inertia guns, comes with more accessories, and in a better case as well. I've already tested three examples, with the 4th Masai Mara (a 26 inch Bronze Pure model) on its way. It is half the price of a Benelli Ethos, yet it is a better shotgun overall, and a hugely superior value. While the first Beretta A400's had problems, the current production (at least in 12 gauge) has improved. The warranty is hardly the best, the Beretta factory service is poor, but if you use Cole Gunsmithing as your Beretta authorized service center, you'll be much happier. Although the safety is at the front of the trigger guard, it is generously-sized and not difficult to reach. Yes, the A400 Xplor Action (the 3 inch gun) has fake enhanced grain wood, and an excess of thermoplastic in its construction. It is a little too plasticy, a little too gimmicky, a bit skimpy on the warranty, and a little too pricey to rate as a good value for its $1400 actual street price, but you could do worse. The Browning Maxus originally had its share of problems: loose forearms, bad triggers, and a shell-elevator that was thin, sharp, and bloodied a lot of thumbs. Designed as a 3-1/2 gun, as was the Vinci, the receiver is excessively long. Most of the teething problems have been addressed over the last eight years, but it still has excessively heavy triggers and poor quality factory chokes . . . both areas that you can rectify, at a cost. The plain-Jane black plastic / rough matte finished 3 inch Maxus Stalker can be found deeply discounted to $1250 or so, but it needs too much work on the part of the new owner to make it a good-performer to consider it a good deal today. Maxus Ultimates can be had for $1700, they are easier on the eyes, but they still need trigger and choke attention. The Benelli Vinci has been called the ugliest shotgun of the decade by some, others refer to it as “spacey.” I've hunted mine, I like it much more than most folks, but the promised “modularity” of an endless variety of readily available combs, pads, and quick-replaceable tubular magazines has not materialized in all these years, and like the Maxus that has been out for all these years, there hasn't been enough interest to offer anything but 12 gauge. The black matte Vinci models have a reputation for being rust-prone, so if the Vinci is your cup of tea, take a long look at the camo models. Though claimed by Benelli to be “the fastest-shooting, softest-kicking, most reliable lightweight 12-gauge shotgun in the world” it is actually none of the above. It retains the infamous Benelli click, it chokes on some 1 oz. loads, the Fabarm L4S and Beretta A400 both are clearly faster-shooting, and the 3 inch Vinci is heavier than every model listed here, except for the V3. The V3 and the Maxus are both remarkably softer-shooting. It is made of highly polished plastic by old world craftsmen, though. The winners of this group include the Fabarm L4S Hunter, the Retay Masai Mara, and the Remington V3. Nothing is beyond enhancement. The Fabarm L4S needs a composite stock option, the Masai Mara needs a larger cross-bolt safety button, and the Remington V3 needs shims. All three of them beg to be offered in 20 gauge. 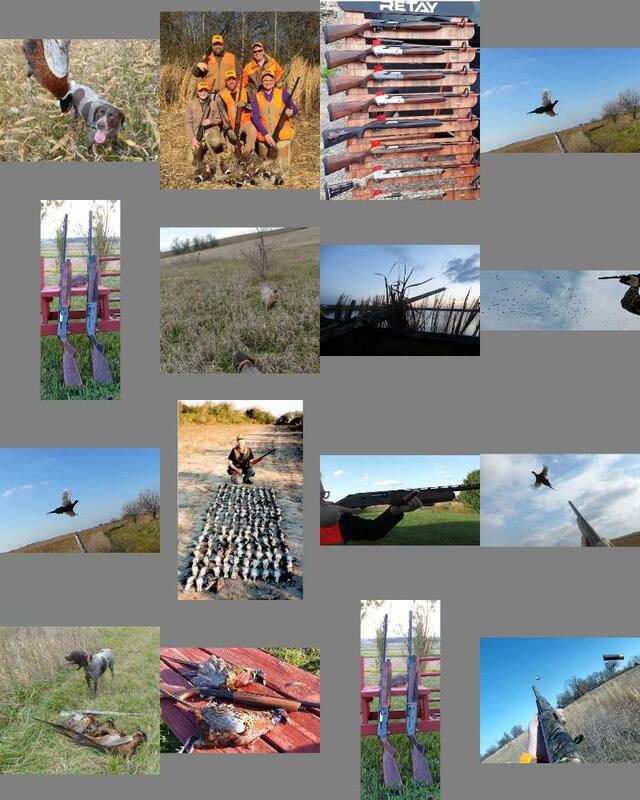 Although this already covers six autoloaders, and I'm not attempting to try to compare everything to everything, I have tested and evaluated three Mossberg 930 12 gauges: the Walnut Field, the Waterfowl, and the Sporting. The Waterfowl is shown above; they all did quite well. Currently, you can get the walnut / blued model for a startlingly low $530. The tested walnut gun weighed in at eight pounds on the nose, with a trigger that broke crisply and repeatably at just under five pounds. The Mossberg 930 is loaded with extra-value features and I mean loaded. The receiver is tapped for a base. The barrel is factory ported. There is a cocking indicator at the front of the trigger guard and it comes with a generous, vented recoil pad. The tang safety is ambidextrous. Studs are installed so you are all set for sling use, if desired, right out of the box. This model is one of over a dozen configurations currently offered by Mossberg in the 930 basic series alone. The action was extremely smooth right out of the box. Many of today's autoloaders require shooting in and rely on some self-burnishing of the action to work smoothly and properly, like a couple of really rough Beretta A300 Outlanders I had the displeasure of working with. Not so with this Mossberg, it was glass smooth right out of the box and functioned flawlessly with everything from cheap, one ounce payload promo shells on up. The Mossberg 930 is a beefy gun: at 8 lbs. As such, it is significantly heavier than the other six models covered here, and not a particularly joyful to carry upland 12 gauge at all. For clays, on the dove field, and in the turkey or duck blind that isn't much of a factor. But, it is soft-shooting and really soft on the wallet as well. It richly deserves a mention, and that's why it gets one here. You can boil down your own personal list of candidates fairly quickly. Do you want walnut or plastic furniture? 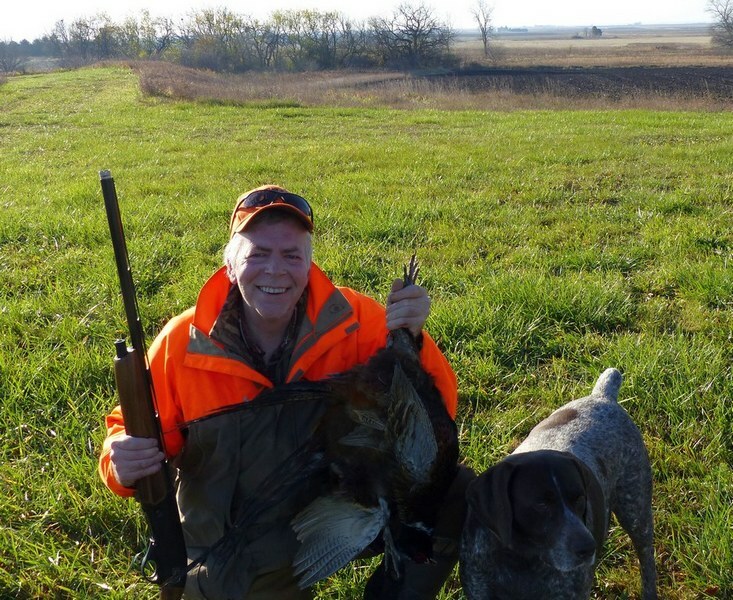 If you want a great-looking, great-value 100% Made in Italy oiled walnut gas gun, the nod goes to the Fabarm L4S (shown above, with Buddy the Wonderdog and a pair of wild pheasants, with three trim levels: the Initial Hunter, Grey Hunter, and the Deluxe Hunter. No synthetic models of the Fabarm L4S Hunter are available in the U.S. Notably, the Fabarm L4S is also available in a left-handed model, something that will likely sway you if want left ejection. If you want a great-looking, great-value oiled walnut inertia gun, an inertia gun without the annoying Benelli click, you'll want to consider the Retay Arms Masai Mara. The Masai Mara is available with synthetic stocks and in camo configurations as well, for less money than the walnut. The Remington V3 presently has no higher grade or upscale models available. Whether walnut or camo, the V3 is at the same (low) price point with the black synthetic model a bit less. Copyright 2010, 2018 by Randy Wakeman. All Rights Reserved.